Despite important trade agreements and commercial commitments between Việt Nam and China, local enterprises are not reaping expected gains. Phạm Sỹ Thành, Director of the China Economic Research Programme at the Vietnam Centre for Economics and Policy Research, explainsed the situation. Can you run the current trade scenarios by us and explain possible advantages for Việt Nam from signing free trade agreements (FTAs) with China? Most recently, on November 21, the ASEAN-Hong Kong Free Trade Agreement (AHKFTA) was officially signed, promoting trade and economic co-operation, goods, services and investment flows between ASEAN and Hong Kong. The 2010 ASEAN – China Free Trade Area (ACFTA) has acted as a framework for comprehensive economic co-operation between the two sides. In both FTAs, important issues are covered, including an elimination plan for preferential duty tariffs, rules of origin and other commodity rules, trade and services and investment co-operation for joint ventures with foreign capital not exceeding 49 per cent, customs clearance, and intellectual property. Việt Nam has committed to eliminate tariffs on 75 per cent of Hong Kong’s exports, while Hong Kong has pledged to eliminate 100 per cent of tariffs for Vietnamese goods. Another important agreement with China is the “One Belt, One Road” initiative (OBOR), through which Việt Nam may receive additional capital for infrastructure and transport development as well as multiple opportunities for investment and trade with other Southeast Asian countries. Such mutually beneficial partnerships may help the country’s public and private sectors mobilise hundreds of billions of dollars worth of capital. Participation in the OBOR could also help Việt Nam garner greater tourism benefits. Why do you think Vietnamese enterprises are unable to seize due business opportunities with their Chinese counterparts? 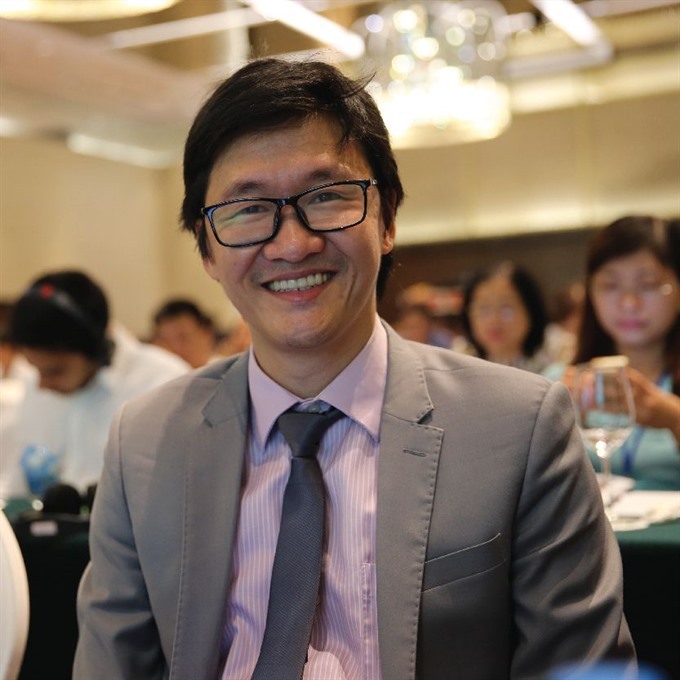 What are the challenges facing Vietnamese firms? Trade and investment relations with Chinese partners make up a large proportion of Vietnamese enterprises’ business activities, but our firms’ capability to take advantage of FTAs is still relatively low. Even before the FTAs, Việt Nam’s firms had encountered certain barriers to the Chinese market, especially agricultural products. Apart from price competition, local producers’ technical infrastructure, from warehouses to border crossing services, is still rather weak, often causing losses to traders. In addition, China’s frequent policy changes may also make it difficult for Vietnamese businesses to catch up, further hindering and delaying the flow of goods. Data from the Ministry of Industry and Trade and the General Department of Vietnam Customs show that during the initial tariff dismantling processes, Việt Nam may find it difficult to compete with Chinese goods, with less than a third of Việt Nam’s exports to China benefiting from the ACFTA tariff preferences. While Việt Nam’s exports of China’s most wanted commodity categories are relatively high, they are impacted by strict or flexible rules of origin. More flexible rules of origin can significantly enhance Vietnamese export products’ added value, and vice versa. We need to learn from the examples of other countries like Japan or South Korea, even Singapore, Malaysia or Indonesia. It is crucial to equip firms with sufficient knowledge of FTAs, as they are obviously not fully aware of the advantages and disadvantages they may face. They need direct guidance and facilitating policies from the higher-ups. Vietnamese enterprises should be more transparent in applying the Harmonized System codes for goods identification and rules of origin, and understand better the use of certificates of origin for manufactured goods, in order to maximise FTA tariff preferences and stimulate domestic production. However, the challenges that Vietnamese enterprises may face after these FTAs with China and Hong Kong are still a concern that cannot be addressed without the right policy framework. Firstly, the risk of public debt. Việt Nam could fall into other dependency situations if proper controls are not exercised. Secondly, the fact that Chinese contractors nearly always bring their native workers to the host country is an issue that cannot be overlooked. Thirdly, Việt Nam should pay attention to the quality of projects invested in by China. The use of Chinese capital also poses challenges in managing quality, costs, social and environmental issues.